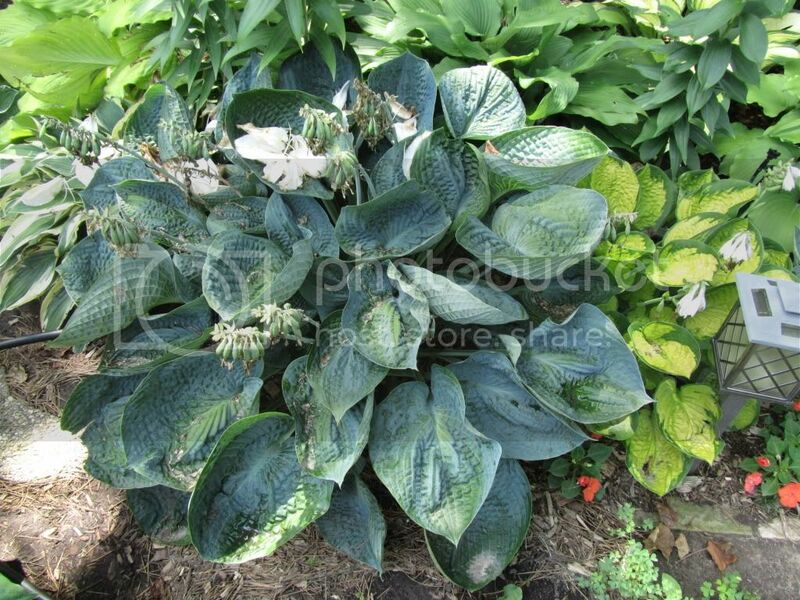 If you don't have room for the hosta 'Abiqua Drinking Gourd' which can get quite large, but love the large blue cupped leaves....then a slightly smaller look-a-like hosta would be 'Love Pat'. It has blue chalky leaves that form upright cupped leaves. The leaves are very thick and corrugated, which makes them more slug resistant. Pair this hosta with gold or green hostas to bring out it's beautiful blue color.